Pharrell Williams has a pretty good track record of singing on slick, electro-indebted songs from French dance producers. Last month, he was at it again, singing on “Blast Off,” an absolute banger of a track from the returning Gesaffelstein. And today, Gesaffelstein and Pharrell have dropped a new “Blast Off” video. Warren Fu directed the video, and it’s exactly as slick as you’d expect. Not a whole lot happens in the video; it’s mostly Pharrell singing while wearing fancy sunglasses and Gesaffelstein making music at some kind of Tron-looking light-board control panel. 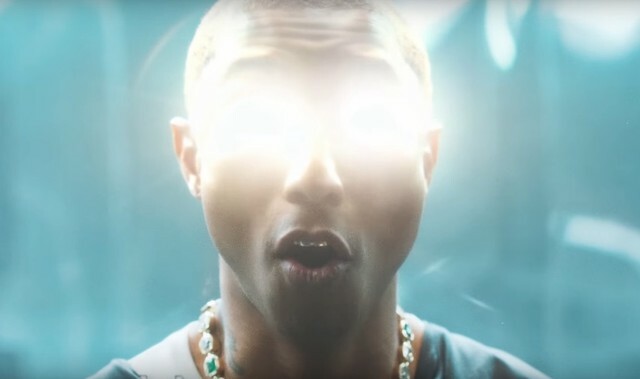 The big plot twist — spoiler alert — is that Pharrell shoots mysterious glowing rays out of his eyes whenever he takes off those fancy sunglasses. He’s like Cyclops! Watch the video below. Hyperion is out now on Columbia.